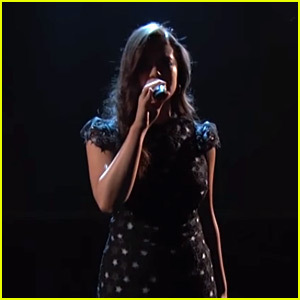 Damon J. Gillespie Photos, News, and Videos | Just Jared Jr.
Auli’i Cravalho is silhouetted by the lights while performing on The Voice on Tuesday night (April 24). The 17-year-old actress was joined by her Rise cast, including Damon J. Gillespie, Shannon Purser, Amy Forsyth and more for their performance of “Scars To Your Beautiful” by Alessia Cara. “Wow, we did THAT! What a surreal experience,” Shannon wrote on Instagram afterwards. Damon J. Gillespie and his fiancee Grace Aki stick close together on the red carpet at the premiere of A Quiet Place held at AMC Lincoln Square Theater in New York City on Monday night (April 2). Just hours before, the Rise actor was seen out with co-star Auli’i Cravalho, promoting their new NBC series. Damon and Grace, who just recently announced their engagement, actually got engaged on the Rise set! Auli’i Cravalho and Damon J. Gillespie pose together just outside of the Build Series studios in New York City on Monday morning (April 2). The two Rise actors appeared on the program to chat about their new NBC series. You can watch their interview below! Speaking with THR just recently, Auli’i and Damon opened up about how their on-screen friendship turned into a strong bond off-screen as well. He added that their friendship has only gotten stronger since they started to film the show. With only one episode, Rise has quickly become one of our fave new TV shows, and yes, we get little Glee vibes, but it’s definitely not Glee. Stars Auli’i Cravalho and Damon J. Gillespie are here to remind us of that too. Get a sneak peek of what’s going on in tonight’s new episode in the gallery below! Rise airs @ 9PM ET/PT on NBC. We cannot wait for the premiere of Rise this week! In a new sneak peek at the show, stars Auli’i Cravalho and Damon J. Gillespie receive an acting lesson from their drama club teachers. While running through lines for Spring Awakening, Damon‘s character Robbie is a little tense. But with a little help from Mr. Mazzuchelli, who tells him to “not act,” and just to be himself, Robbie totally nails the part. By the end of the scene, Robbie and Auli’i‘s character look like they’re about to kiss, with emotion exuding from the two students. Rise premieres March 13 at 10/9c on NBC.